Because Your Windows Can Account for Up to 70% of Your Energy Costs . . .
• High Energy Costs — Energy savings on both heating and cooling pay for the windows in just a few years. Multi-chambered frames with heavy gauge vinyl walls, fusion welded frames and glass, creates a window system that can save you as much as 50% on your energy bills. 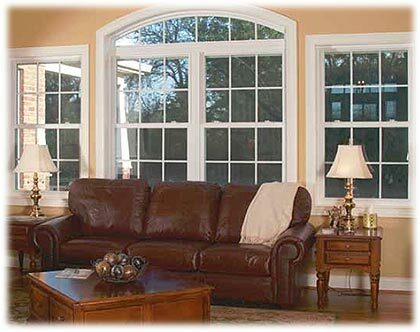 Plus, the Protector window system will significantly increase the value of your home. • Costly Maintenance — Specially formulated vinyl is rugged, never needs painting, never chips and won’t peel, warp or rust. • Harmful Ultra Violet Light — reflects summer heat and blocks 98% of harmful UV rays protecting your furniture, carpets and other valuables from sun related damage. • Unwanted Intruders — Innovative dual tech lock system and interlock systems offer security and peace of mind. • Risk of Injury — Window construction allows for easy egress in case of fire or emergency.